Thank you for taking the time to fill out this survey. 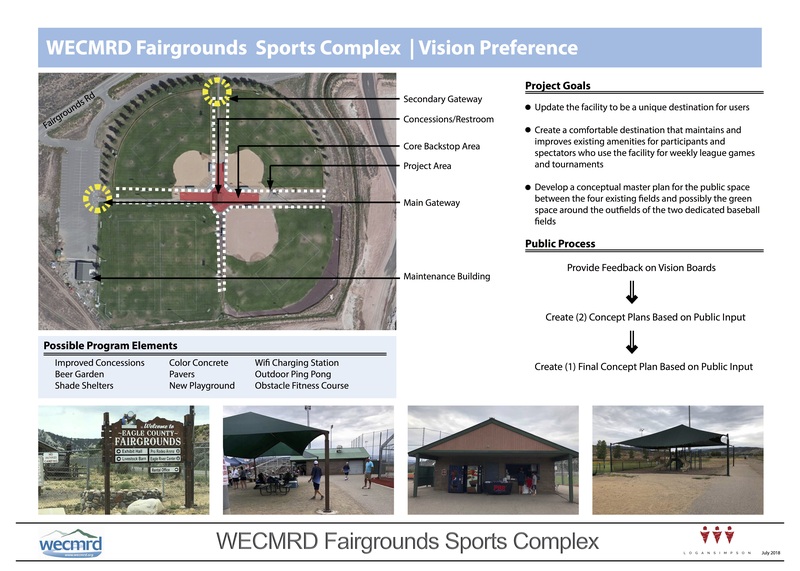 This survey is to inform the final concept plan for the backstop areas at the WECMRD Fairgrounds Sports Complex. Please review the board below, which describes the project area, goals, and public process before beginning the survey. We have completed the two (2) concept plans and are now looking for your feedback on those plans. This feedback will be used to create a final concept master plan. This final plan will implemented in phases.